If you wish to take a course, read the Code of Discipline, choose a date from the course schedule, and then follow the instructions for registration. Dhamma Mahi is one of the many meditation centres in the world dedicated to the practice of Vipassana meditation, as taught by S.N. Goenka. It is located in the centre of France near Auxerre (France). Meditation courses are held here all year round. 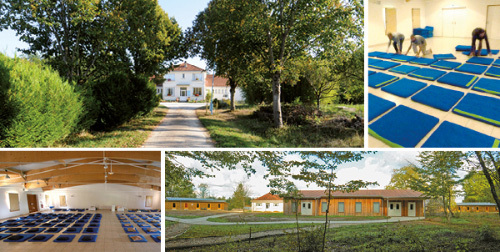 There also are numerous Centres in other parts of the world, you can check the international website at www.dhamma.org.